Today it can be said that it is impossible to establish clear principles of doing business. That is, the rules of behavior and strategies for each sector can be drastically different. But the unifying factor of any business strategy is advertising and promotion of products and services. 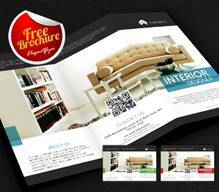 Here you can find a big collection of Free Brochure Templates for businesses that were created using Photoshop. 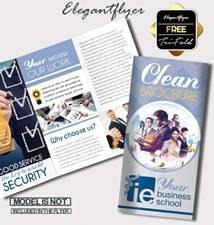 Free brochure templates can be really very useful for promoters, businessmen, managers and for designers of course. 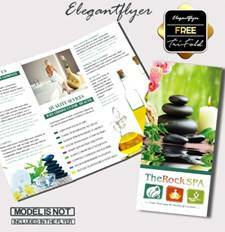 Using ready-made brochure it is a great way to save a lot of time and money and get perfect results. There can be at least 6 different pages on every Tri-fold brochure for different important information. 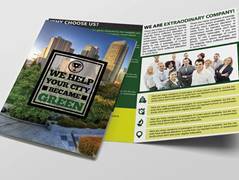 What is really good – it is possible to use brochures templates for multidisciplinary companies because a brochure can report on many different products and services. 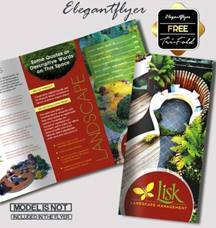 This set of brochures consists of many different themed templates like Interior or Landscape business, modern photography, Camping and Travelling, Fashion shows and Fitness centers, Salons, SPA, Car service, Schools, tri-fold Menus and many other multipurpose templates for business and entertainment. If you need to have some professional PSD brochures in your collection or for creating qualitative advertisement you can choose any of these business brochures templates and make any customizations. All the brochures are fully layered and very well-organized. Make your choice and become successful! You may also like: 21 Best Free Joomla Templates for Your Next Joomla Site. Simple but very attractive Free Trifold Brochure PSD template Landscape design will be perfect for promoting business, agencies, companies and private designers. 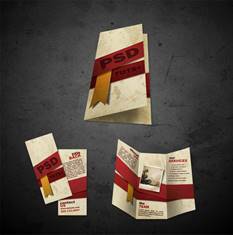 Free PSD Business brochure that can be used for creative ideas for showing your skills for clients. This flyer is easily customized and changeable. 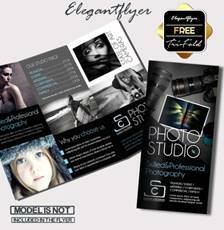 Modern Photography – it is a really awesome and modern Free Tri-fold PSD Brochure Template for your Photography business. This retro-type tri-fold brochure template has a design containing retro looking color combination of yellow, red, green and gray. It is a great template for any kind of service. You can edit the template on your favorite tool like Photoshop, Illustrator, Office etc. 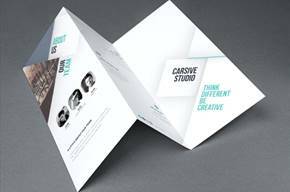 This Tri-fold brochure template Free has a clean design with using different color scheme but on white background. Creative and professional design can help you in future ideas. 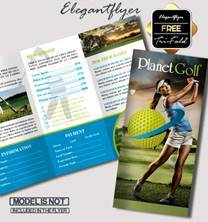 If you need to create a professional advertisement for Golf club – download this Free PSD Trifold Brochure template and customize it in Photoshop. Free Brochure template PSD front and back it is a multipurpose brochure for many different goals and business purposes. 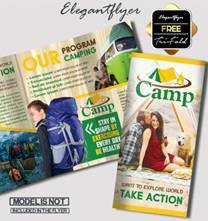 Free Trifold Brochure template PSD Camping is really great as an invitation for hiking, camping, picnics and other kinds of active recreation and outdoor activities. 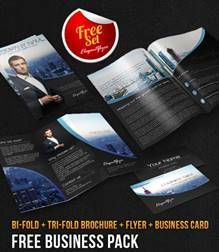 Download Trifold Brochure PSD mockup absolutely free and it uses it for showing skills and creating an advertisement. 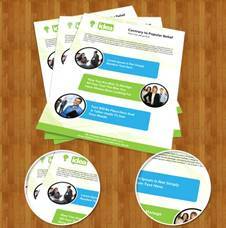 Clean – it is simple-designed but very modern Free PSD Trifold Brochure template for business and advertisement. If you need to create a professional business template for Interior studio or for the private designer you can download this Free Tri-fold PSD Brochure template Interior design and enjoy the results! 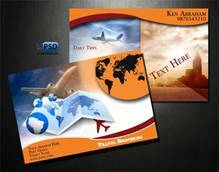 Make your travel business more interesting and popular using such Travel Brochures PSD Free. Business Brochure pack – it is a Free PSD template that contains a lot of important PSD templates like brochures, flyer, and business card. 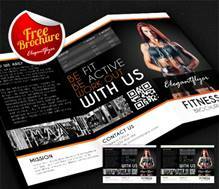 Fitness Trifold Brochure design – it is a perfect Free PSD Flyer Template for gyms, fitness centers, pools, and private trainers. 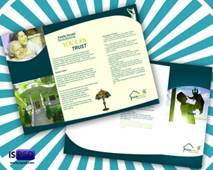 Here you can download this Property/ Company Brochures PSD Free for implementing into life and business goals. Fitness Trifold Brochure – it is a really great Free PSD Template that could become a good advertisement for sports centers and gyms. If you have a goal to create a great portfolio for your business, real estate company or private manager there is a great Real Estate Brochure PSD Free that can be easily customized in Photoshop. 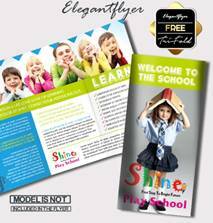 School – it is professional Free Tri-fold PSD Brochure template. Download it and change texts, add photos and create the best advertising for your professional needs. 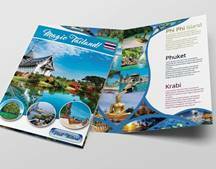 Touristic Bi-fold brochure Free PSD Template is an important part of any advertising campaign for companies, agencies, and private agents. Download and enjoy! 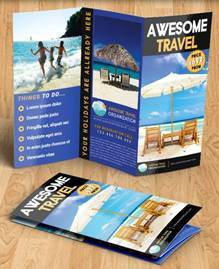 If you need be creative in advertising developing you can download absolutely Tri-fold brochure Free PSD template Travel. It is really perfect for inviting client and organizing business offers. Multipurpose Free Corporate Single side Brochure PSD Template will be great for achievement a variety of purposes in advertising. 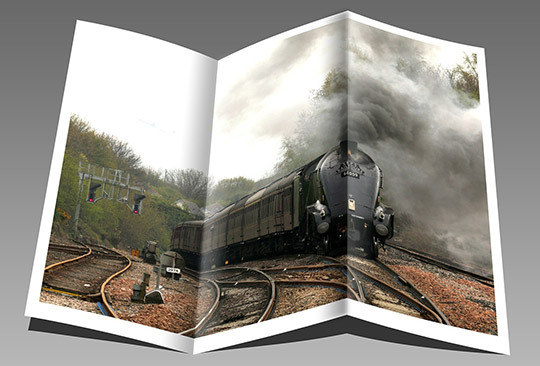 The brochure is modern and interesting. 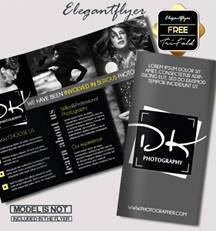 Photographer – it is a very good looking and professionally designed Free Tri-fold PSD Brochure template for photographers and photo studios. 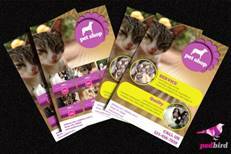 For pet shops, there is an interesting Free Pets & Animals shop Brochure PSD. If you are looking for good advertising this attractive flyer is perfect enough for such a purpose. 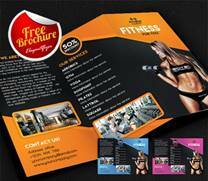 Download this attractive Free PSD tri-fold Brochure template SPA for your saloons and health centers. 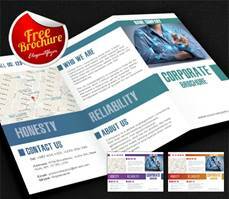 Free PSD Bi-fold Brochure template is great for corporate business. Easily customizable business template is great for different companies and interesting ideas. 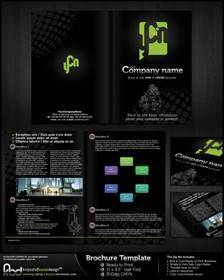 Brochure template Free is a dark and attractive template for different kinds of business. 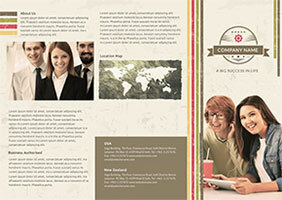 Download this free brochure template and customize it the way you wish. 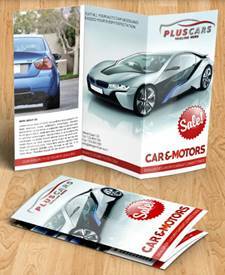 The minimalistic and attractive design of this Free Brochure PSD Template Car Sale will be suitable for car showrooms and shops related to automobiles. Free PSD Business Brochure template has a stylish and modern design. Download this template for your professional need and use the way you wish. 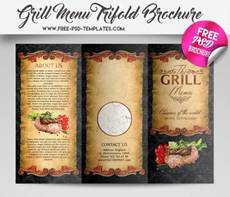 Grill Menu – this is a great Free Trifold Brochure in PSD for cafes, restaurants and grill restaurants. Download this template and organize your business ideas. 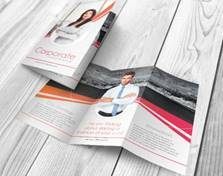 Corporate Trifold Brochure Design – it is absolutely Free PSD Template. This brochure is very light and attractive. Corporate – it is ready-made qualitative Free PSD Trifold brochure template for designers that could be used for many different purposes. Just download and customize the way you wish! 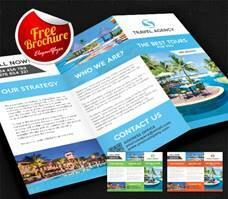 For those who are related to tourism business, there is Free brochure PSD template Travel Agency. This template has a simple design but it can really attract the attention of future clients. 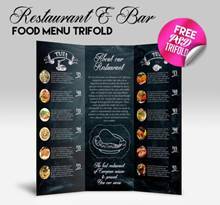 Free Restaurant & Bar Food menu Trifold in PSD is absolutely free. Just follow the link and download it easily for creating an advertisement. 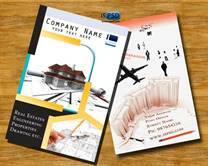 Free Corporate Business brochure PSD 14 pages A5 will be a good fit for kinds of business. There are a lot of useful pages for business purposes. 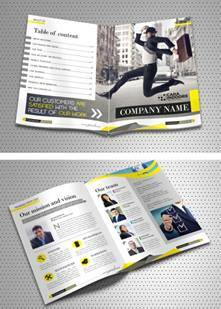 Tri-Fold brochure PSD Template Free is necessary for any designers and promotes. Get such business template for your collection and use it for professional goals. 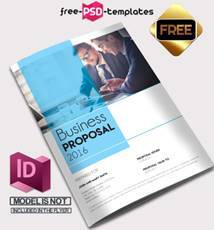 Free Business proposal brochure 8 pages A4 can be good for different companies and for making presentations and showing skills. To be professional and interesting for your clients it is always important to give a choice. We also try to give you an opportunity to choose templates only from reliable and diverse sources. 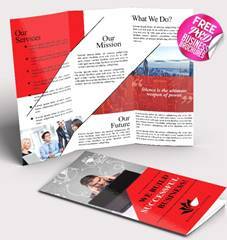 Download any free business brochure templates you like, invite new clients and make your business more successful! Great brochure designs. Really love the templates. It is always difficult to find good free business templates online. The designs above are awesome. I am setting up my consulting company, so I am looking for all kind of business templates. Not only brochures. Hi , Very useful information provided by you , thanks.